Here’s today’s Routledge press release (click on this sentence). 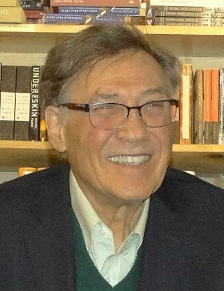 I became editor of Routledge’s Children’s Literature and Culture series in 2011, when I succeeded founding editor Jack Zipes. 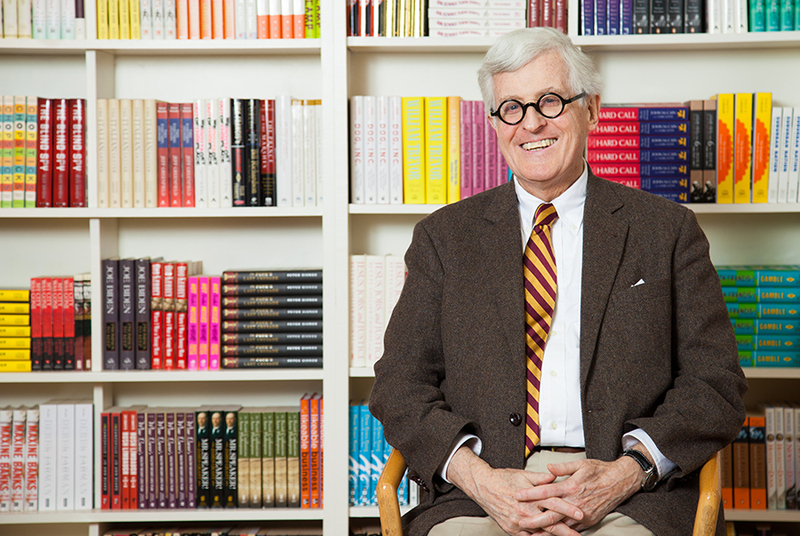 He founded the series in 1994, which makes this the longest-running series devoted to the study of children’s literature and culture from a national and international perspective. In my seven years as series editor, I’ve edited 30 or so books that have been published. There’s another half dozen that are not out yet but are either forthcoming or under contract. It’s been a busy seven years, and I’m very proud of the authors, editors, and contributors we’ve published. I’ve learned a lot from all of them and I am grateful to them for choosing to publish with Routledge. They make this series what it is, and I thank them. Jack edited this series for 17 years. After doing the job for a mere seven years, I can only begin to appreciate what that means, especially given that he did this in addition to a prolific career as a scholar and educator. I lack Jack’s stamina. So, I’m stepping down from my editorship — or, to be more accurate, I am beginning that process. As Jack did when he passed the editorship on to me, I too will continue to edit any books that I’ve signed. For the new editors’ first year, Jennifer Abbott — the excellent in-house Routledge editor we work with — will include me in all editorial correspondence. Kenneth and Beth are in charge, but I’ll be available as needed. In fact, since last June, Jen has already been copying the new editors on correspondence regarding all new projects. So, my stepping down is really more of a gradual phasing out. 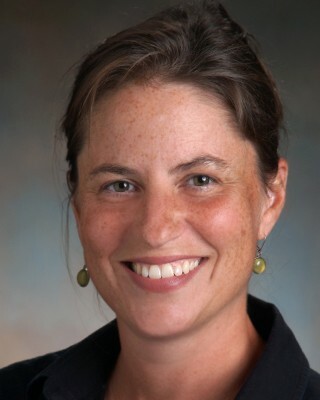 Beth Marshall, Associate Professor of Education at Simon Frasier University in British Columbia, and the author, co-author, or co-editor of three books (including one in the Routledge series). Don’t let their youthful good looks fool you. Between them, these two award-winning scholars bring nearly 50 years of experience in the field of children’s literature — and two different disciplines (English, Education). I couldn’t be happier that the series is in such good hands. I look forward to seeing where they take the series! 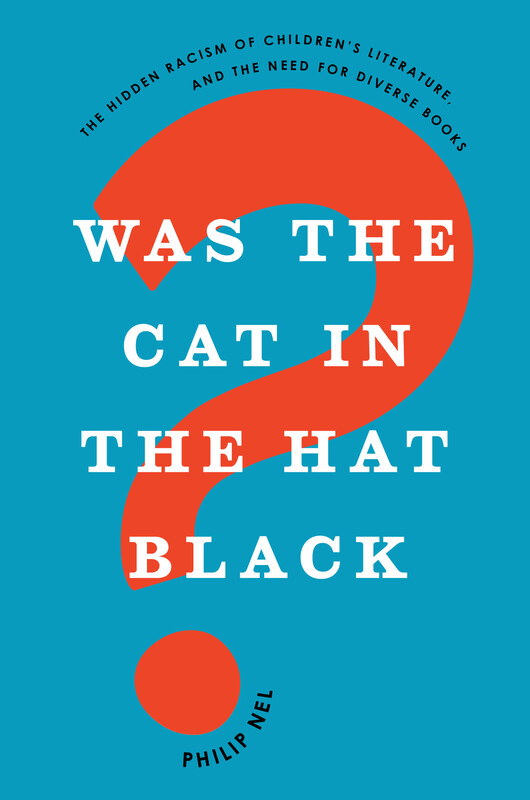 Here is the cover for my next book, Was the Cat in the Hat Black? : The Hidden Racism of Children’s Literature, and the Need for Diverse Books, forthcoming from Oxford University Press in July 2017. Since it (the cover) is now on some websites (notably Oxford UP & Amazon.com), I thought I’d share it here. THANKS to Oxford UP’s Lucas Heinrich for his design and editor Sarah Pirovitz for her tolerance of my perfectionism. * And thanks to aesthetically adept friends who shared their thoughts on the cover: Megan Montague Cash, Mark Newgarden, Mervi Pakaste, and Dan Warner. Thanks also to all of my colleagues who I polled on a rather minor distinction between two versions of the cover. Books transmit values. They explore our common humanity. What is the message when some children are not represented in those books? too often today’s books remain blind to the everyday reality of thousands of children. Children of color remain outside the boundaries of imagination. The cartography we create with this literature is flawed. In case you missed it, yesterday’s New York Times (16 Mar. 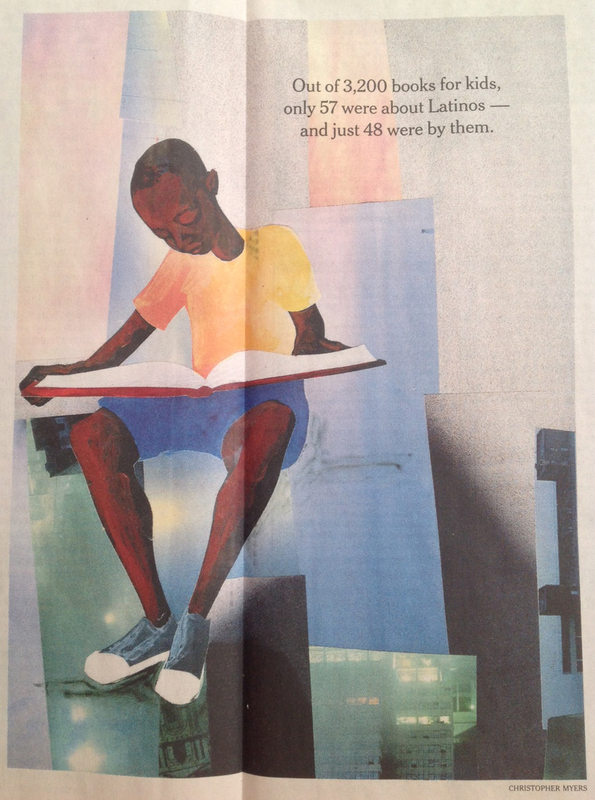 2014) carried two essays that should do what Nancy Larrick’s famous “All-White World of Children’s Books” (Saturday Review, 11 Sept. 1965) did nearly 50 years ago: Sound the call to the publishing business to increase representation of people of color in children’s books. If you haven’t read these articles, please take a moment and do so. These articles — and many others that I’ve read over the last few years (links below) — should point to a critical mass of support for increased representation of non-white people in children’s books. There are already efforts under way, like The Birthday Party Pledge (promise to give multicultural books to the children in your life) and Hands Across the Sea (promoting literacy in the Caribbean). The pressing need for books featuring children of color inspires me to share some resources I’ve gathered for my own research and for students in my graduate-level African American Children’s Literature class — a course I’m teaching for the first time this semester (and which will, I promise, improve in subsequent years; this is my first attempt). I’m aware that these resources are not comprehensive, and so please feel free to add suggestions in the comments. Indeed, I’d be grateful if you would. Laura Atkins, “White Privilege and Children’s Publishing: A Web 2.0 Case Study,” write4children 1.2 (April 2010). Note: document is a pdf. Scroll down to page 21. Jen Doll, “The Ongoing Problem of Race in Y.A.,” The Atlantic Wire, 26 Apr. 2012. Great overview, with lots of links to relevant articles. Zetta Elliott, “Stranger Than Fiction: Depicting Trauma in African American Children’s Books” or “One Hot Mess,” Fledgling: Zetta Elliott’s Blog, 16 June 2012. Jason Low, “Why hasn’t the number of multicultural books increased in eighteen years?” Lee & Low Books, 17 June 2013. Seeking answers, Low talks to Kathleen T. Horning, Nikki Grimes, Rudine Sims Bishop, Debbie Reese, Betsy Bird, Sarah Park Dahlen, Jane M. Gagni, and others. 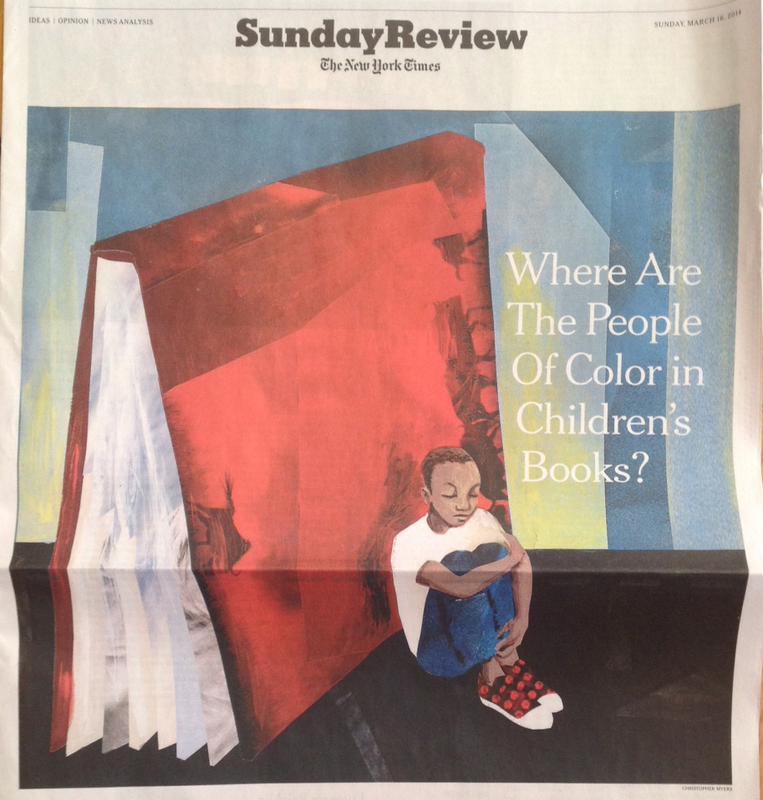 Christopher Myers, “The Apartheid of Children’s Literature,” New York Times, 16 Mar. 2014. “children of color… recognize the boundaries being imposed upon their imaginations, and are certain to imagine themselves well within the borders they are offered, to color themselves inside the lines. Meg Rosoff, “You can’t protect children by lying to them — the truth will hurt less.” Guardian, 20 Sept. 2013. “There is a theory that children’s literature should uphold the idyll of childhood, offering charming scenarios and happy endings to protect the innocent from life’s harsh realities. But children have extraordinary antennae for the things no one will explain.” This essay isn’t about race. It’s about not lying, and its insights are applicable in this list — that’s why I’ve included it. Allie Jane Bruce, “Whitewashing Book Covers, Part I: What Do Kids Think?,” Lee & Low Books, 21 Nov. 2013. Allie Jane Bruce, “Whitewashing Book Covers, Part II: A Trip to Barnes & Noble,” Lee & Low Books, 21 Nov. 2013. Thea James, “Cover Matters: On Whitewashing,” The Book Smugglers. 26 Feb. 2010. “Whitewashing of covers is a problem. It is a concrete, visual representation that can be held in our hands, of a much larger moral and social problem, namely: Racism.” Features guest-post by Ari. Cheryl Klein, “One Way to Stand Up to Whitewashing,”Brooklyn Arden, 8 July 2010. Justine Larbalestier, “Ain’t that a shame (updated),” Justine Larbalestier, 23 July 2009. Malinda Lo, “Don’t judge a book by its cover,” Malinda Lo, 26 Jan. 2011. Assif Mandvi, “Whitewashing, a history” [slide show]. Salon.com 14 May 2012. Laura Miller, “Can you identify?” Salon.com 16 May 2012. I find Miller’s logic flawed, but I’m including this here, well, to be inclusive. Anna North, “Magic Under Glass: The Whitewashing of Young Adult Fiction Continues,” Jezebel 18 Jan. 2010. Loraine Sammy, “Whitewashing in Young Adult Literature,” RaceBending.Com, 26 Jan. 2010. “Adult Literacy: Literacy by Race/Ethnicity,” National Center for Education Statistics. Kate Hart, “Uncovering YA Covers: 2011,” Kate Hart, 16 May 2012. See also her “Follow Up on YA Covers,” 20 May 2012. Malinda Lo, “Diversity in ALA’s Best Fiction for Young Adults,” Diversity in YA. 19 Sept. 2013. The Tar Baby and the Tomahawk: Race and Ethnic Images in Children’s Literature, 1880-1939 (University of Nebraska-Lincoln). Hat tip to my student Erica Ruscio for pointing me to this one. The Modernist Journals Project (Brown University & The University of Tulsa): includes The Crisis (1910-1922). Hat tip to Natalia Cecire (@ncecire on Twitter) for this one. “Multicultural Literature,” Cooperative Children’s Book Center, School of Education, University of Wisconsin at Madison. American Indians in Children’s Literature. Since I’m assembling these links for my African American Children’s Literature course, I’ve not focused on Native American children’s literature here, but Debbie Reese’s blog is the place to go for info. on this subject. Elizabeth Bluemle’s Shelftalker list of books “featuring main characters of color where race is not the driving force of the story. In other words, while race is of course an important part of a character’s identity, in these books, the plot does not revolve around race, racism, intolerance, or political/​historical events based in racial issues.” See her website (scroll down) for the full rationale. Children’s Book Council’s Diversity Committee, which includes this page of Resources. Coretta Scott King Book Awards, American Library Association. The Dark Fantastic: Emancipating the Imagination. Ebony Elizabeth Thomas’s Tumblr & ongoing book project. Hannah Ehrlich’s “Where can I find great diverse children’s books?”, Lee & Low Books 21 Mar. 2014. This is a great resource — much stronger than what I’ve assembled here, in fact. So, please do go and check it out. Fledgling: Zetta Elliott’s blog. Lots of great essays here. Recommended. Mitali’s Fire Escape. Mitali Perkins’ blog. Cynthia Leitich Smith’s Children’s and Young Adult Literature Resources includes: Exploring Diversity: Themes and Communities, Multicultural Reading Bibliography, and more specialized lists, too. Penultimate note: I’ve not included most of the critical texts on our syllabus, because my students already know what those are (and so will you, if you follow the link!). Final note: As I said above, suggestions welcome. Thanks! 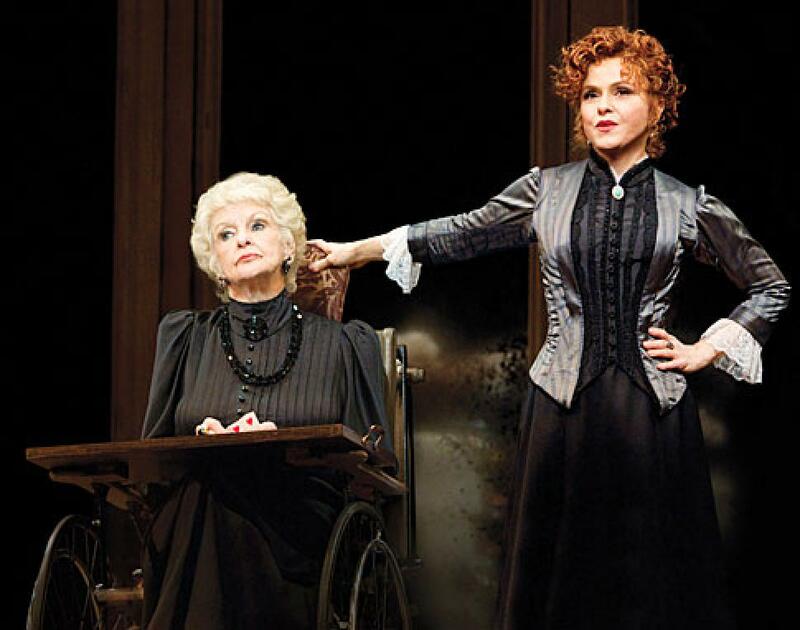 Page last updated, 4:15 pm CDT, 21 Mar 2014. For their suggestions, thanks to Laura Atkins, Sarah Hamburg, Sheila Barry, Kate Pritchard, Keilin H., Hannah Ehrlich (Lee & Low Books). Image credits: Art by Christopher Myers, from New York Times, 16 Mar. 2014. I decided to photograph my copy of the newspaper rather than just lift the art from the Times‘ website simply because I like print culture. You can find clearer digital images on the Times‘ site. No, the title of this post is not an oxymoron. Academics can write with style. Some of us do. All of us should. 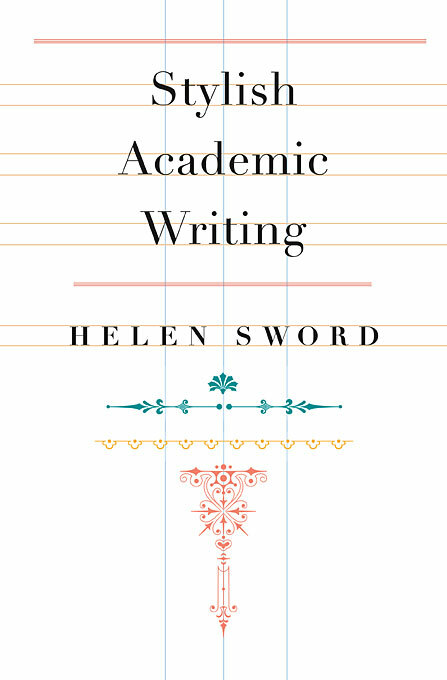 In Stylish Academic Writing, Helen Sword offers advice for all who aspire to write with grace and economy. The book is smart, funny, and — even better — applicable beyond academe. Many of us write the way our disciplines taught us to write, but, as Sword points out, there’s a good degree of variance within any given discipline. People don’t write articles all the same way. In every discipline, there’s room for creativity, space for departing from the formula. Writing bland, jargon-y prose is not the only way to get published. To quote Sword, “academic writing is a process of making intelligent choices, not following rigid rules” (30). That’s the key advice here. You can write well and get published in any discipline; the path to publication involves smart choices, not the strictures of jargon. Open with something catchy: As Sword puts it, “recount an interesting story, ask a challenging question, dissect a problem” (8). Prefer active verbs to passive ones: no one likes sentences that erase human agency. As Richard Lanham famously asked, “Who’s kicking who?” That should be “Who’s kicking whom?,” but the point is sound: nouns and verbs form the backbone of a strong sentence. If your sentence construction obscures cause-and-effect, then rewrite it. Jargon for its own sake is lazy. Use it when it serves your purpose — as Sword notes, it’s a “highly efficient form of disciplinary shorthand” (117). That’s great. But don’t use it as a substitute for thought. Draw upon the insights of critical theory, philosophy, medicine, and any relevant discipline, but express those insights in clear, concrete prose. You don’t need to use long sentences all the time. Short ones are nice. Varying sentence lengths works well, too. Avoid extraneous words and phrases. As Sword writes, “Avoid using that more than once in a single sentence or about three times per paragraph, except in a parallel construction or for stylistic effect. Sentences that rely on subordinate clauses that in turn contain other clauses that introduce new ideas that distract from the main argument that the author is trying to make . . . well, you get the idea” (62). From my earliest days as an academic, I’ve aspired to write clear sentences. So, in part, Sword’s book has (for me) affirmed what I’ve always tried to do. I know of course that (despite my efforts) I have written sentences that fall short of this goal. For that matter, I know that I will never be as deft a stylist as Martha Nussbaum, Louis Menand, or Robin Bernstein (to name a few academics who are also graceful writers), but I also know I can be better. Sword’s book can help us all be better. Stylish Academic Writing has renewed my commitment to writing well. 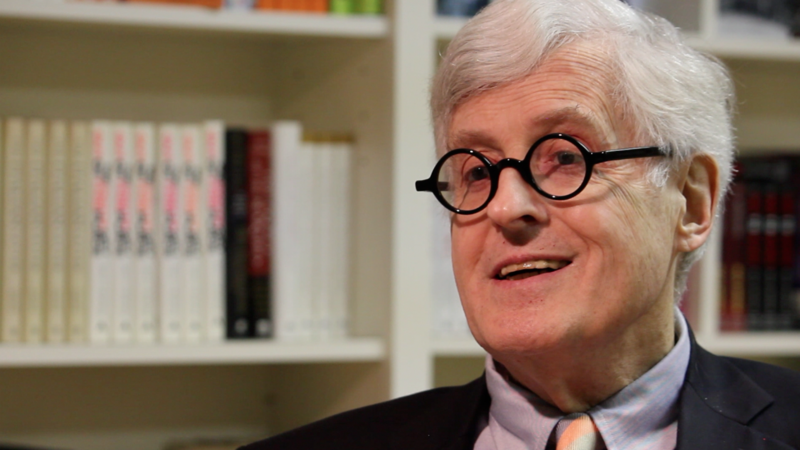 If more of us take Sword’s advice to heart, perhaps over time, we can help our governments renew their commitments to the Humanities, and to a way of living that puts human beings first — rather than putting first, say, corporate profits, easily quantifiable utility, expensive surveillance, or lethal technologies. Perhaps. Even if we fail, it will have been worth the effort. Bonus: a video on zombie nouns. Stylish Academic Writing: Harvard University Press’s page, featuring many links. The Writer’s Diet Test: Sword’s automated feedback tool asks “Is your writing flabby or fit?” and invites you to “Enter a writing sample of 100 to 1000 words” and find out. The article reports that Edwin Mellen Press has withdrawn the suit against McMaster University and Dale Askey, BUT Edwin Mellen Press is still suing Dale Askey. Beyond the fact that the Chronicle should have let its readers know it was celebrating Opposites Day, this development raises several questions about the allegedly scholarly press known as Edwin Mellen Press. The news release’s internal contradictions are remarkable. Without any irony whatsoever, Edwin Mellen Press in its press release says that “EMP remains resolute that all have the right to free speech.” How is suing a librarian for $1 million an affirmation of that principle? For that matter, how did suing Lingua Franca over its characterization of Edwin Mellen Press uphold “the right to free speech”? This doesn’t make any sense. And when you follow that claim about “right to free speech” in the very next sentence with “all have the right to take steps, including legal action, to protect their good names and reputation,” you’re reminding your audience that Edwin Mellen Press launches lawsuits at its critics in order to shut them up. So, not a very effective piece of rhetoric. Even before Edwin Mellen Press launched this suit, it did not have a “good reputation.” As Timothy A. Lepcyzk pointed out at EduHacker, when Edwin Mellen Press launched this suit against Askey, punching the words “Edwin Mellen Press” into Google would elicit the following suggestions: “edwin mellen press quality,” “edwin mellen press review,” “edwin mellen press reputation,” “edwin mellen press vanity,” “edwin mellen press vanity press.” Edwin Mellen’s news release speaks of “EMP’s good reputation” and of the right to protect that reputation. However, it didn’t have a good reputation when it filed this suit, and its reputation has only declined since then. You can’t erase the internet. When you punch the publisher’s name into Google now, you get these automatic suggestions: “edwin mellen press,” “edwin mellen press reputation,” “edwin mellen press review,” and “edwin mellen press vanity.” Below that, the first hit is the press’s website, but all other hits are other websites, each of which reference the press’s litigious behavior. There are scores of articles on the Press, and they’re not flattering. Did it seek to cement its reputation as a litigious bully or further delegitimize its allegation that it’s a “scholarly press” (a claim made in its latest press release)? If so, then it has succeeded. If it had other aims, it’s failed. This isn’t over yet. Sign the petition! There are currently over 3100 names on the petition. Let’s keep those numbers rising. Finally, the Streisand Effect should be renamed the Edwin Mellen Effect. This PR debacle that the press has chosen to inflict upon itself will, I suspect, ultimately result in its undoing. Its attempts to silence its critics have only amplified those critics’ voices. Dale Askey, “The curious case of Edwin Mellen Press.” The original blog post (22 Sept. 2010), via Archive.org. Dale Askey, “Thank you for the support.” Bibliobrary, 21 Feb. 2013. List of the many organizations that are standing behind Askey (including links to statements). Edwin Mellen Press, original lawsuit against Askey and McMaster. 7 June 2012. Wayne Bivens-Tatum, “Edwin Mellen Press Suing a Librarian?” Academic Librarian, 6 Feb. 2013. Collen Flaherty, “Price of a bad review,” Inside Higher Ed, 8 Feb. 2013. Martha Reineke’s petition, on Change.org (same link as in no. 5, above). John DuPuis’ “Publisher hits new low: Suing librarian for criticizing their books.” Includes a nice list of links to other stories. “Vanity, Thy Name Is Lawsuit.” My initial response to this case, 8 Feb. 2013. 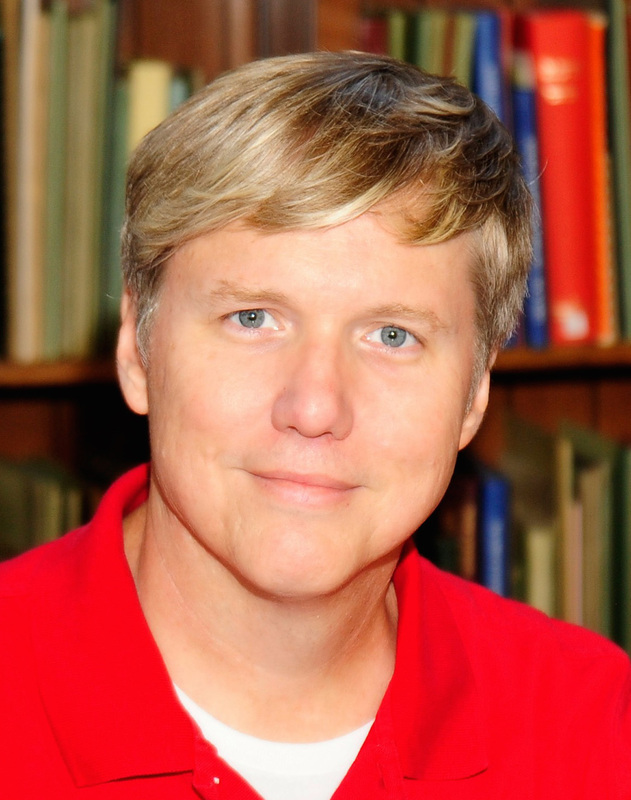 Rick Anderson, “One Down, One to Go.” The Scholarly Kitchen, 5 Mar. 2013. Great close-reading of the most recent press release from Edwin Mellen. As you may have heard, the Edwin Mellen Press is suing librarian Dale Askey and his employer, McMaster University, for damages in excess of $4 million. Why? The suit alleges that Askey is guilty of libel for calling Edwin Mellen Press “a vanity press” and suggesting that it lacks “academic credibility.” There are several problems with this claim. In the blog post in question (since removed, but still available via Archive.org), Askey does not call Edwin Mellen Press “a vanity press.” He acknowledges that “they are not technically a vanity publisher” because they don’t require authors to underwrite the cost of their books. Academics do not take threats to academic freedom lightly. Librarians, Professors, and other academic professionals can advise their libraries not to buy books published by Edwin Mellen Press. One way to do this would be to ask that, if a library’s vendor has Edwin Mellen Press on a list of books to be purchased automatically, then it should ask that the books of Edwin Mellen Press be removed from this “automatically purchase” arrangement. What it might do instead is, should a faculty member (or, to set the threshold a little higher, several faculty members) recommend a particular book, then the library will purchase it. But the library will only purchase specific volumes recommended by faculty members — or by a particular number of faculty members. That way, should Edwin Mellen Press publish reputable scholarship (which it does do, on occasion), a library could purchase it. But Edwin Mellen could no longer rely upon automatic purchases from libraries. The Streisand effect. As in the case of Barbra Streisand’s attempt to remove a photograph of her house from the web, the Edwin Mellen Press’s attempts to silence Dale Askey’s criticism has simply given more publicity to that criticism. In sum, the more we blog about this and the more it gets report, the more that people will learn about the critique and the behavior of Edwin Mellen Press. John Dupuis’s post “Publisher hits new low” has collected all of these links, and is adding new ones as Mr. Dupuis becomes aware of them. Update: This point added on 11 Feb. 2013. Heck, the website is so poorly edited that it misspells the institutional affiliation of a professor who endorses it (see image above right). The word is Massachusetts, not Massachusettes. There is a petition asking Edwin Mellen to drop the lawsuit. Sign it. Who is paying for Dale Askey’s legal costs? McMaster has just published a statement affirming their commitment to academic freedom, but Inside Higher Ed notes that Askey is paying for his own legal fees. Full disclosure: I’ve met Dale Askey before and am a friend of his wife’s. (They both used to work at Kansas State.) Earlier today, she indicated on my Facebook wall that they were indeed paying for their own legal fees. Should that still be the case, could someone with knowledge of how these things work please set up a site where we might contribute to cover his legal fees? Call it the “Dale Askey Legal Defense Fund,” perhaps. And when you do this, please let me know so that I can add a link, here. Thank you. Let other concerned people know about it. Use Facebook, Twitter, blogs, and so on. I’ve been using the #FreeDaleAskey hashtag each time I tweet about it. Perhaps we might adopt that? Would be great to see this trending on Twitter. Speaking of legal fees, I wonder if this is the sort of case which someone like Lawrence Lessig might take on? I realize that Professor Lessig is a busy man, and I have never met him myself. So, I don’t mean to suggest that he’s obligated to add to what is already a considerable workload, but perhaps he — or someone like him — might take an interest in the case? Contact your professional organization and ask that they address it. So far, there have been statements from the Canadian Library Association, the Progressive Librarians Guild, McMaster University, the York University Faculty Association, and other faculty associations. Update: This point added on 11 Feb. 2013. Other ideas? Please share them in the comments section. Thank you. Update, 11 Feb. 2013: Added point no. 5 and the “Contact your professional organization” point (above). When I started writing what was then a biography of Crockett Johnson (back in the late 1990s), I thought: When I finish this, I really will have achieved something. Even as I wrote other books, I continued to think of the biography — which became a double biography of Johnson and Krauss — as The Big Achievement. Sure, Dr. Seuss: American Icon (my third book, published 2004) was OK, and, yes, the media attention it received was certainly flattering. But the biography would be the Truly Important Work. So, you might (or might not) be asking: (1) Why make this distinction between the biography and my other work? (2) Do I still make this distinction? (3) And, now that the biography is published, does it feel as “Truly Important” as I thought it would? 1. Why make this distinction? The degree of original research required far surpassed that needed for my other books. 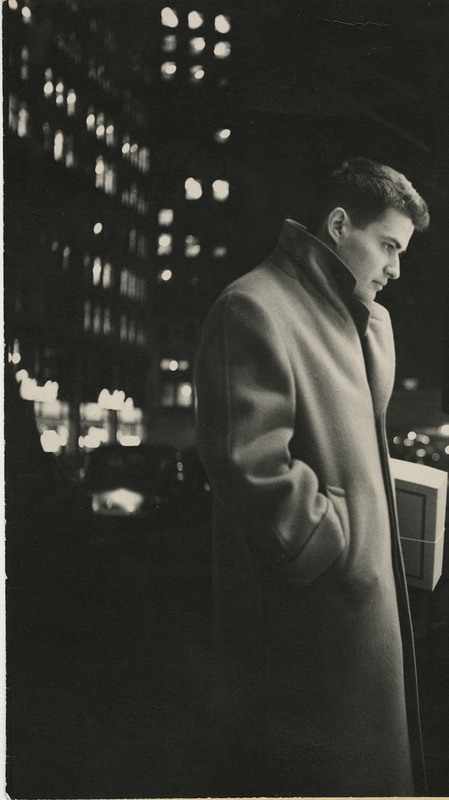 I interviewed over 80 people, investigated over three dozen archives and special collections, read everything written by or about Crockett Johnson and Ruth Krauss, and consulted additional hundreds of articles and books. I looked at birth certificates, marriage certificates, census data, property deeds, wills, century-old insurance company maps, and Johnson’s FBI file. If I hadn’t gathered (some of) this information, it would be lost forever. Coping with the mortality of one’s sources is a big challenge for the biographer. Maurice Sendak, Remy Charlip, Syd Hoff, Mischa Richter, Else Frank (Johnson’s sister), Mary Elting Folsom (author who knew Johnson in the 1930s), Gene Searchinger (filmmaker who knew them both), and so many others taught me much about Johnson and Krauss. They have since passed away. If I hadn’t recorded their stories, that information would be gone. The biography has been more challenging than any other project I’ve tackled, bar none. As I’ve observed before (probably on this blog, and certainly in the talk I gave last month at the New York Public Library), a biography is a jigsaw puzzle, but this puzzle has no box, missing pieces, and no sense of how many pieces you’ll need. There are also the challenges of creating character, knowing which details to omit, and finding a narrative structure. Life has no narrative, but biography has to have a narrative. I have no training in creative writing, but — for this book — I had to try to think like a creative writer. 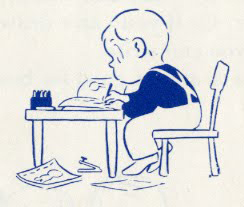 In sum, there are reasons that a biography takes so long to write…. 2. Do I still make this distinction? Sort of. The distinction reflects a tendency to devalue the discipline in which I was trained — the sense that Dr. Seuss: American Icon, though it does draw on considerable original research, is ultimately “just interpreting texts.” In contrast, rigorous historical research, actually uncovering new information, is much more important work. But I say “sort of” because of course there are truly insightful ways of interpreting texts, illuminating formal strategies, transformative critical approaches — Robin Bernstein’s Racial Innocence is one such book. It’s a paradigm-shifter. As I’ve noted before, I don’t have the kind of mind that writes a paradigm-shifting book. My strength is that I work hard. A biography plays to that particular strength — and perhaps this is one reason that it interests me. It interests me for other reasons, too (the “detective work” part, for example). But it is one intellectual arena where I can do something well: work really hard. Superior intelligence may elude me, but I can put in the hours! So, in some ways I still make the distinction (the amount of research, the box-less puzzle, etc. ), but in other ways I do not. 3. Now that it’s published, does it feel like such a Big Achievement? The response (mostly positive) has been a good feeling. In addition to nice reviews from Anita Silvey, Roger Sutton, Maria Tatar, Kirkus, and the Wall Street Journal, other Notable People Whose Work I Admire have been very complimentary. With apologies for the name-dropping, those people include Chris Ware (who also created the beautiful cover), Dan Clowes, Mark Newgarden, Paul Karasik, Lane Smith, Susan Hirschman, George Nicholson, and Michael Patrick Hearn. Given that Maurice Sendak even responded positively to an early, detail-clogged, incomplete draft, it is of course possible that these folks are simply being kind, and forgiving the book’s many infelicities (as I expect Maurice was). But I’m accepting their kind assessments as genuine because, well, it makes me happy to do so! That said, as I’ve documented on this blog, the editing process was not entirely harmonious. Some cuts were good ones; others were not. My copy-editor was an historian by training; I needed a writer of fiction. My changes to her edits resulted in some errors, including (as one audience member pointed out at the NYPL last month) a typo in the first sentence. The press refused to change some errors I found in the page proofs (though it did change others). The paperback is priced not at $27, as I had originally been told it would be, but at $40 — this makes it harder to schedule signings because who buys a $40 paperback? These problems make me not want to think about the book at all. I realize that I should let this go. Publishers introduce errors into manuscripts. Bureaucracies do not always function smoothly. Humans are prone to error, fatigue, and failures of judgment. Fortunately, despite my irritations, the book does feel like an achievement. Given how long it took to write (I started in 1999), it is thus far my life’s work. It is a big deal. But there is little time to dwell upon one’s achievements. There are new projects (such as The Complete Barnaby, volume 1 of which is due out early next year), tenure-and-promotion letters to write, letters of recommendation to write, (other people’s) book proposals to review and manuscript to edit, (my) conference abstracts to create and talks to write, planes to catch, meetings to attend, syllabi to revise, syllabi to invent, papers to grade, classes to teach, students to meet. Being an academic is a great job, the work is rewarding, and I feel privileged to do it — even though I rarely have the time to notice those rewards or recognize that privilege. It’s one of the paradoxes of being a professor. Since that piece has been in print for a decade, of greater interest may be this page-by-page comparison of the UK and US editions of the first three Harry Potter books, a comparison I am here making publicly available for the first time. My hope is that others may benefit from this without having to go through the labor that I did — treating the texts like variants of a medieval manuscript, and making careful notes on the differences. 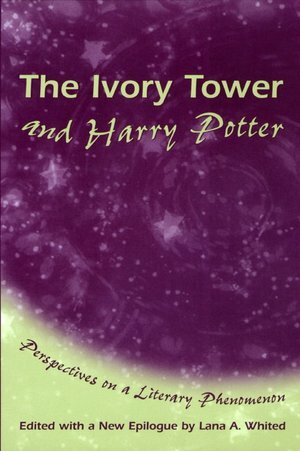 I intended to do a complete page-by-page comparison of the first four (book five didn’t appear until the year after the article’s publication), but my side-by-side readings of Harry Potter and the Goblet of Fire found far fewer differences — indeed, some words changed in earlier books were not changed in Goblet of Fire‘s US edition. As this was proving less interesting (and Goblet is much longer! ), I did not make a complete list of the differences between the editions of Harry Potter and the Goblet of Fire. A note on my notes: “in verse” means that the text was formatted as verse, but not that it is in fact poetry. The books used are the original UK and US editions of the Harry Potter books (corrections have been made in subsequent editions). “sherbet lemon” (13 twice, 14 twice) “lemon drop” (10, 11 thrice). “and crushed it into a dust-bin” (25) “and crushed it into a trash can” (27). Madam Pince sentence at top of 124 Madam Pince sentence part of same para (163). OK, “Joy” might be the wrong word — unless we modify that title to “The Anticipatory Joy of Finishing the Index” or “The Joy of Finding a Great Index.” Creating an index can be a mind-numbing slog, and creating it while checking proofs (as I am doing right now) doesn’t make it any more fun. But the index is also the most important part of any book. It’s one reason that I tend to create my indices myself. Sure, you can hire an indexer. * But who knows your book better than you do? Many people will enter Crockett Johnson and Ruth Krauss: How an Unlikely Couple Found Love, Dodged the FBI, and Transformed Children’s Literature (coming fall 2012) via the index. Sure, I like to flatter myself and imagine that people will read the book from cover to cover. But many people won’t. The index is there to guide them. It’s also there to guide people who have read the book, and are trying to locate something they remember reading. We’ve all done this: OK, I know the book mentions this, but where does it mention it? In addition to indexing the book all the way to the end, this index may yet change in other ways — some categories may get removed, and others may be added. But the above entries are one example of how I hope to make the book useful to others. And the level of detail represented serve as an example of why authors — if they have the stamina — should create their own indices. * For the record, Lissa Paul and I did hire an indexer for Keywords for Children’s Literature (2011). Jon Eben Field did a fine job. But I did my own indices for Dr. Seuss: American Icon (2004) and The Avant-Garde and American Postmodernity: Small Incisive Shocks (2002). Crockett Johnson and Ruth Krauss Biography: Final Cuts, Part 3: Does This Make My Manuscript Look Fat? (Dec. 2011). Crockett Johnson and Ruth Krauss Biography: Final Cuts, Part 2: The Dog Problem (Dec. 2011). 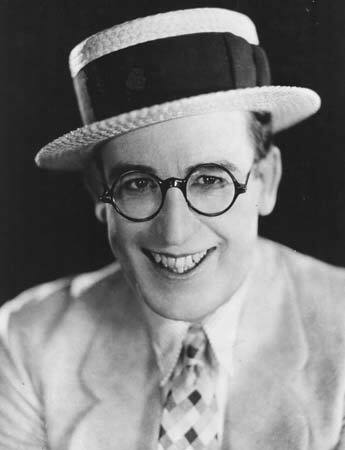 Crockett Johnson and Ruth Krauss Biography: Final Cuts, Part 1: What’s in a name? (Nov. 2011). Appendix A: American Committee for Spanish Freedom (July 2011). I cut all four appendices. This is the first one. Appendix B: We Are for Wallace (July 2011). And this is the second one. Appendix C: Assembly of Men and Women in the Arts Concerned with Vietnam (Sept. 2011). The third one. Appendix D: End Your Silence (Sept 2011). The fourth one. Preview: biography of Johnson and Krauss. First sentence and last sentence (Sept. 2011). Invent Title for My Book, Win Signed Copy of the Book (Aug. 2011). Editor dislikes title. I “crowdsource” it to readers, and get lots of suggestions. Have submitted leading contenders to editor. No decision as yet on final title. Crockett Johnson and the Purple Crayon: A Life in Art (Aug. 2011). My 2004 Comic Art article on the life of Crockett Johnson. Now available for free as either pdf or a series of jpgs. Going Back to High School — 90 Years Back (Aug. 2011). A glimpse into Crockett Johnson’s high school days. He Was a Teenage Harold: Crockett Johnson’s High School Cartoons (Aug. 2010). Johnson’s earliest work, published under his given name of David Johnson Leisk. The Text’s in the Mail (June 2011): in which I send the final version of the manuscript to my editor. biography outtakes, part 8 (June 2011): now featuring despair! biography outtakes, part 4 (Nov. 2010). biography outtakes, part 3 (Nov. 2010). biography outtakes, part 2 (Nov. 2010). biography outtakes, part 1 (Nov. 2010). Posts tagged Crockett Johnson, Ruth Krauss, or Biography may also be of interest.